The Copt Couloir is nice and short and is a good place to consolidate a taste for steep skiing. If the snow is hard your first turns will be quite hesitant. Stay in balance and control and link your turns with the help of judicious side-slipping. The start of this route is quite comfortable and not too intimidating. One day, sooner than later, I will remember those words. 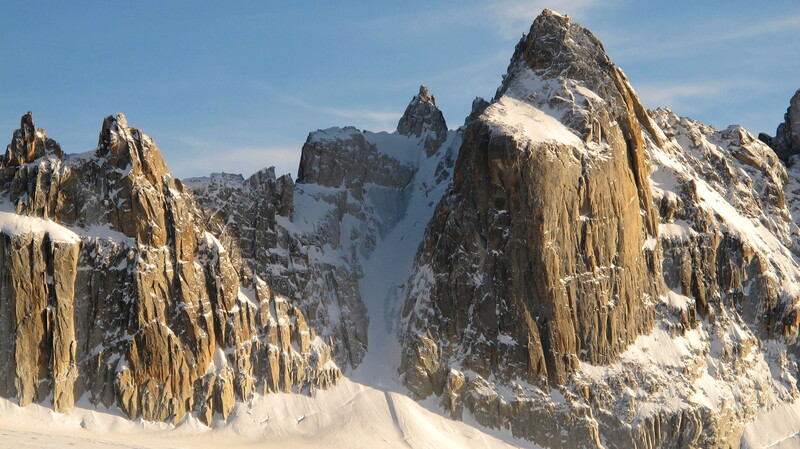 Posted in DreamsTagged Aiguilles Dorees, Copt CouloirBookmark the permalink.